Sparklers: what's not to love? A miniature firework in the palm of your hand. Oh wait, when you say it that way...! My husband and I had sparklers for our send off from our wedding, which fell on the 4th of July. That decision was a no-brainer on that date! At the time, we did some research of our own and now on the flip side as wedding photographers, we've come to appreciate the fine art that is pulling off a safe, successful sparkler exit. The good news is that most of the trick is in the planning. Most couples don't moonlight as sparkler aficionados, so here are our top 6 tips. 1. Confirm with your venue. Not all venues are comfortable with sparklers due to their setting or landscaping, and some parts of the country are at risk of wildfires in particular. 2. Get sparklers about 36" long. Who knew sparklers had different sizes? This matters for a few reasons. First, if you have short sparklers, your first guests to light theirs will be nearly burned out by the time the last guest lights theirs and you start your journey down your fire-lit path. That impacts your experience and the photographs you can expect. 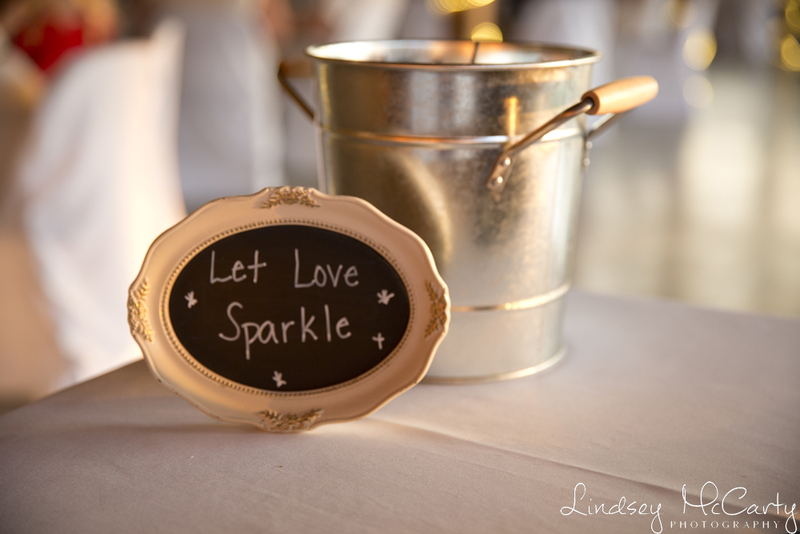 Secondly, sparklers are fun and the longer they last, the more your guests will enjoy themselves. We ordered our sparklers from Sparklers Online, but there are plenty of other places that after the 36" ones. 3. Have multiple lighters. This is a common faux pas. If you have 140 guests and one lighter, that is a slow process. Depending on the number of guests, have a number of lighters, position whomever is in charge of them at the beginning, middle, and/or end of the lined up guests, and have them instruct those who have already lit their sparklers to pass the spark along in both directions. 4. Don't underestimate inebriation. Unless you have a dry wedding, by the time your sparkler exit kicks off, many of your guests are past the point of being able to safely handle open flames. Consider assigning a responsible wedding coordinator or friend to keep an eye on safety, especially when you have children as guests, and be aware of this as you run through the eye of this sparkler storm. We have been lucky ourselves but have had near misses, and there are plenty of stories out there. This isn't to scare you because we love sparklers but something to consider. 5. Safe disposal. Many venues will require this, but even if they don't, you should have several buckets of sand or other safe areas for the used sparklers to be placed. 6. Consider the spot for your sparkler exit. The math problem goes like this: if you have two people holding 36" sparklers standing across from each other, how far away do they need to be so that a couple can pass through between them? If your exit space has a narrow sidewalk, consider an alternative. Have your sparkler handler ask your guests to hold their sparklers more up than straight out. (In our experience, that is rarely successful, so again, make sure you have the space! ).